Issues like cutting of trees, severe air pollution and cleaning of river Yamuna are expected to be important election issues for the people of Delhi. Photo by Mayank Aggarwal/Mongabay India. Will environmental issues finally bask in the electoral limelight? If events across some of the major Indian cities in the past few years are to go by, it is definitely the time for green issues to shine. The environmental issues plaguing the internet-savvy electorate as well as the poor sections of these major cities may finally become an integral part of the election discourse. Over the past year, the national capital has garnered the most attention for environmental issues, compared to other major cities in the country. 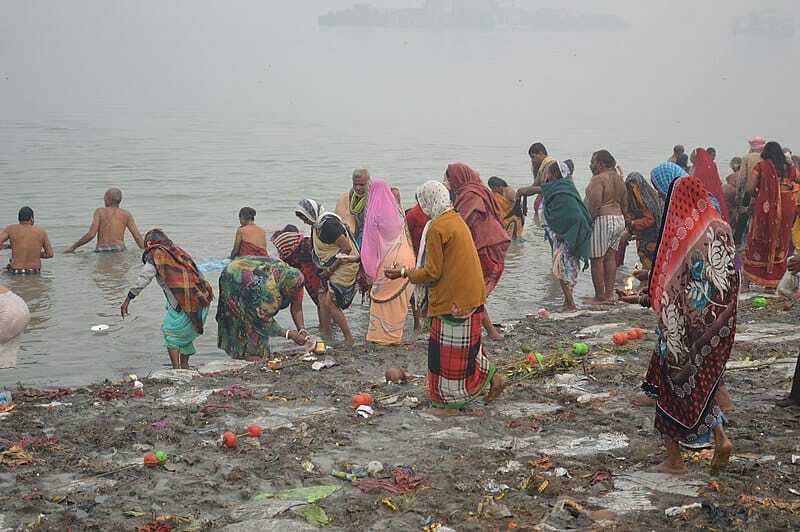 Cleaning of the polluted river Yamuna, considered holy by Hindus, has been a campaign issue for political parties for over decades. But the limelight seems to have now shifted to the Central Government’s plan to axe over 16,500 trees in Delhi for the redevelopment of government colonies. In June 2018, there was a much-publicised citizen protest against the move, with Delhi’s residents even going to court. It also resulted in a political slugfest between three major political parties of Delhi – the Aam Aadmi Party (AAP), the Bharatiya Janata Party (BJP) and the Indian National Congress. The AAP-led Delhi government also had a tiff with BJP-led government of India about who allowed the felling of such trees. Though the cutting of trees is on hold for now, it is expected to become a point of consideration for at least a section of Delhi’s voters. In the past too, environmental issues have occupied the mind space of people of Delhi, the most regular one being the issue of air pollution in winters. Over the past three or four years, in winters, the toxic levels of air pollution in Delhi and its satellite towns of Noida, Ghaziabad and Gurugram were in the news regularly. There was a tussle between the government of Delhi and that of adjoining states like Punjab, over responsibility and accountability for the unprecedented levels of air pollution in the national capital. The burning of agricultural residue in Punjab was touted as one of the prime reasons for the high levels of air pollution in Delhi, according to the Delhi Government. These accusations led to a bitter fight between the Delhi Government and Congress-led Punjab Government. The fight could continue in this year’s winter as well. Lal emphasised that Delhi pollution, for instance, will certainly be an election issue. “What is happening in Thoothukudi (leakage from the Sterlite Plant) is an election issue. So coupled with the local issues the environmental issues become electoral issues as well. Water situation in Delhi or the flood situation in Mumbai is an election issue too,” said Lal. 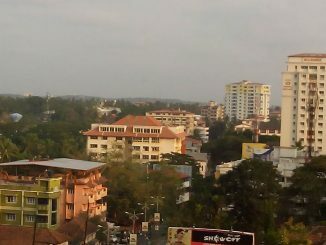 Urban floods in Chennai and Mumbai, the water crisis in Shimla, forest fires in Dehradun, polluted lakes in Bengaluru, increasing human-wildlife conflict across India or campaign to save Mumbai’s Aarey forest area are apt examples of some of the issues that have caught the attention of media as well as the public. Such issues even forced political parties to take note of them and clarify their stand. For instance, leaders of the Maharashtra-based political party, Shiv Sena, rejected a state government proposal to change the land use of a part of Aarey Milk Colony for a metro car shed, supporting those who were seeking to stop cutting of trees in Aarey area. Even huge infrastructure projects like the development of the capital city Amaravathi in Andhra Pradesh is embroiled in controversy over its potential impact on the environment. An environmental issue gaining centre stage in media and public discourse is not a new thing. Over the past several decades there have been numerous instances of environmental issues being in the limelight but they were not an integral part of the election conversation. In some cases, even if they became an election subject they lost significance once the environmental issues were settled. For instance, in the early 1970s, there was the Chipko movement in the hill state of Uttarakhand (then Uttar Pradesh) where villagers united against the then government’s decision to allow cutting of trees by a company. People hugged trees to stop the chopping and the intense protest forced the government to retract. Similarly, in the mid-1980s, the then prime minister Rajiv Gandhi started a Ganga Action Plan to stop the deterioration of the quality of water of River Ganga, which is considered holy for millions of Indians across the country. Three decades later even after billions of rupees have been spent on it, the Ganga River is yet to be cleaned. But it remains a political issue. In the run-up to the 2014 Lok Sabha elections, BJP leader Narendra Modi called River Ganga his mother while he was campaigning for the Varanasi parliamentary seat. The comment touched an instant chord with the electorate for whom Ganga is an emotional issue and they have seen no improvement in the quality of its water despite numerous efforts. Cleaning of Ganga was among the major promises in BJP’s 2014 election manifesto along with other promises related to environment protection. Environment has been a part of the manifestos of other major national parties too in the last few years. For instance, the 2014 manifesto of the Congress also had several environment protection related promises including cleaning of River Ganga. Congress spokesperson Muhammad Khan stressed that environment has been a part of manifestos of the major national parties for at least a decade now. “Since 2009, almost all parties have included or dedicated a portion of their manifestos to environmental issues. The Congress did in 2009 and 2014. I think the BJP also does the same thing now. I would say it has become a major part of the mainstream,” said Khan. Speaking about the proposal for cutting more than 16,500 trees for a redevelopment project in Delhi, Khan stated that citizens vociferously protesting against that and the issue gaining prime-time attention demonstrates that environmental issues have become a mainstream issue. “Secondly, the debates and media coverage on pollution and quality of life have become much more common, better informed and better researched everywhere. I think it has definitely become a part of the mainstream,” he added. Will environmental issues gain centre stage in the 2019 election campaign? So even as environmental issues keep cropping up in the media, public and sometimes political discourse, will they be a significant part of the 2019 election campaign? “Yes, I believe they will be because I think pollution is an equal opportunity killer and doesn’t discriminate between rich and poor,” said Khan, the Congress party spokesperson. “We [Congress] have always maintained that urgent solutions are needed to this. I think Congress has always been an environmentally sensitive party. We have a rich history of our leaders taking landmark decisions to protect the environment at the cost of the development. Every government must give it that importance. I think BJP has very deliberately treated it as a secondary issue,” said Khan, giving a glimpse into the Congress election manifesto for 2019. Khan also accused BJP of diluting environment norms. “When BJP came into office they diluted the rules for forest protection and environmental clearance. Industrialists were very happy that rigorous standards were no longer there. BJP made ease of doing business a priority rather than saving the environment,” he said. 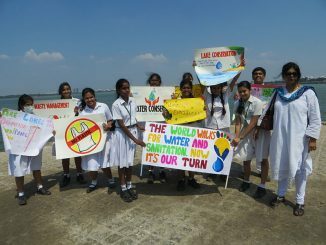 Afroz Shah, a Mumbai-based lawyer and citizen activist who started a movement to clean Mumbai’s Versova beach, said, when citizens come out for environmental issues such as demanding a clean up of beaches or for reducing waste, it has a ripple effect. “A citizen is a consumer at the end of the day and consumes those products that cause pollution. He or she is a not only a consumer but a polluter, voter and a taxpayer too. When a consumer understands this they get into a participative democracy mode. At this moment this realisation does not exist. We are working hard at the ground level to create it. It is easier to frame a law or a regulation than change people’s mindset at the ground level,” said Shah. “But when a citizen exercises his vote he may be in favour of someone who feels like him or is thinking like him (about the environment). So he will be like ‘yes we will vote for you to make schools, roads, bridges but we would want you to feel as I am feeling about the issues of plastics and pollution’. In such cases, the inclination (of the voter) will be faster and swifter and he won’t take months to decide,” explained Shah. “There is a complete correlation at the end of the day. Politicians that are fighting the electoral battles are consumers and come from amongst the citizens only. Once the awareness increases the link up will happen,” he added. Picking up the trend early, in March 2018, Delhi’s deputy chief minister Manish Sisodia presented a “green budget”. “This is perhaps the first time that such a budgeting exercise has been attempted in the country where the impact of each department’s proposals to control pollution were studied in a scientific manner before making budgetary commitments,” Sisodia had said while presenting the 2018-19 budget of the government in the Delhi legislative assembly. Will young and internet savvy Indians drive the green issues? A significant section of India’s middle class, especially in urban and semi-urban areas, is active online – mainly on social media. There have been instances where the support or opposition of this social media generated pressure group, on issues concerning the environment, has had an impact on a policy. 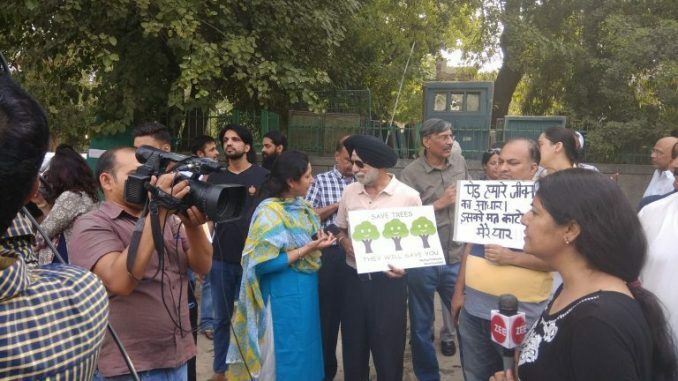 For instance, the resistance to the central government’s housing redevelopment project in Delhi, which was to result in the axing of over 16,500 trees, started on social media platforms. As a result, citizens who first coordinated online, got together on the ground, protested and successfully approached courts to stop the project temporarily. With the young voters forming an important part of the total voters, it has also become hard for political parties to ignore their views. Is it India’s Green Party moment? Is the time ripe for the development of a Green Party in India like in some of the western European countries such as Germany, Sweden, Finland and the UK? A Green Party is a political party that looks at the development of society through the prism of environment protection. But in India, basic facilities like water, electricity or even food are still a struggle for many and end up constituting a major part of election promises. So experts feel that it may be early for environmental issues to reflect in the form of a political party for elections. “There are concerns among the middle class about the environment but they are only bothered or concerned about the environment when it is really serious and not a day-to-day basis,” said Sanjay Kumar, director at the Centre for the Study of Developing Societies. 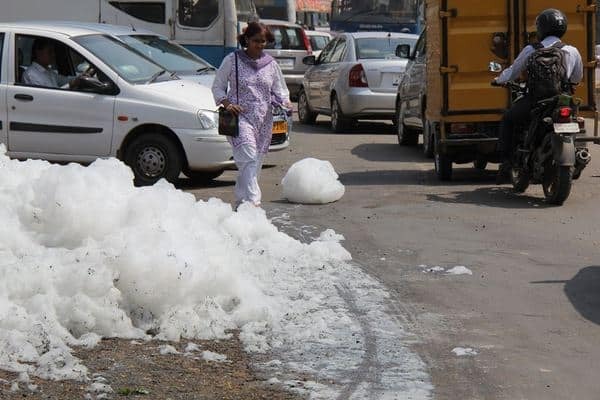 “On a day-to-day basis the Indian middle class living in urban areas or towns or metropolitan cities don’t care too much about the environment. Their concern is only limited to when they read something in the newspaper. Everybody thinks that someone else should be doing something about it,” he added, stressing it is not yet India’s Green Party moment. “It is still at least 20 years away. It will take time for the environment to become an election issue in India,” he said.